Raindrops on roses and whiskers on kittens…bright copper kettles and cute planner stickers. These are a few of my favorite things! That’s totally how it goes, right?! Because these printable Christmas planner stickers are my new favorite thing. And they’re free! You can download a set for yourself at the bottom of this post. Free printable planners like this set are great because you dress up your planner on the cheap. If you’re new to printing your own planner stickers, this post is a good place to start – it shares three different ways to make your own stickers! You can print these on any sticker paper. But since you’ll cut them out, the full size sheet labels are ideal (it’s easier to pull the stickers off of these than other sticker paper options, due the to the slits in the backing on this kind of paper). You can usually find this at Walmart, too! The planner pictured here is a Perpetual Planner, available in my shop. You can see all the ways I use stickers in my planner on my shop’s IG page (check out the “Perpetual Planner” IG highlights for tons of videos – I pretty much do a recap every week of how I’m using my planner, what new stickers I have, etc.). « Dallas Symphony Orchestra’s Christmas Season is Here! Thank you for the freebie as well as info on printing stickers. I am just starting to print my stickers. I appreciate the tip on the paper as well. ;). I was looking at Staples sticker paper and got overwhelmed. It can be overwhelming! 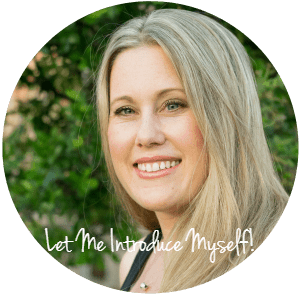 And you’re so welcome – I hope it’s helpful and you love the stickers!